Sometimes we get stories second hand, but this time, I was in the room. This was a new employee who stopped by to fill out a few forms as I just happened to be a visitor. He probably dreaded going to what he thought was possibly surly service, no personality, and lots of rudeness as an appetizer. This was his reference point to HR. Sadly, this is a lot of folk’s reference point to HR. Reference points are always based on fact. As we all talk about the new direction of our chosen profession, one of the tenants of human resources should not be overlooked as we march to a different drummer. We are a customer service department which means we should treat each person that walks into our doors with the utmost respect and that treatment should not be dictated by their titles. I say title because I have seen the world of HR stop when a senior leader walks into the room. The big shot needs help and everyone must stop to make sure they are taken care of. Contrast that with someone from lower down the spectrum coming in, and you could almost see a mask of annoyance on people’s faces. No one is tripping over themselves for this lost soul seeking direction. Our work in HR has us dealing with our customers over the phone, by email, and more importantly, face-to-face. Customer service is important to HR for a number of reasons. 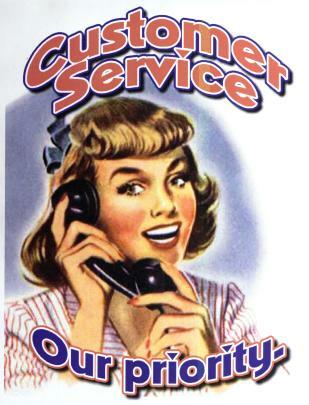 Foremost, it would be difficult for what we do to survive without customer service. The role of HR in any organization is to serve employees — who are our customers. Our department is, most of all, a service department. While we strive to manage the human capital aspect of our organizations accordingly, our focus is also on meeting the needs of employees and their managers. The importance of customer service with internal customers also relates to our external customers, which in many cases, are the prospective employees coming in during the interview process. HR is a normally the first interaction that a lot of people have with your company. From the receptionist to the recruiter to the hiring manager, customer service skills should be front and center with every interaction. Rudeness, non-attention and all the other competencies of bad behavior will do a lot more harm to much more than just the person that is on the receiving end. This bad behavior and the narrative surrounding it will be spread like someone with a bullhorn. I will never forget how as part of an engagement study we added an area on the effectiveness of our department. What we found was that under our very nose, we had someone in recruiting that had caused some people to want to turn down their job offer because of the way they were treated during the interview. Our thoughts were now on the ones that did turn down the offer and ran as far away from our organization as they could. It all came down to customer service. I am sure their story was told to friends and their friend’s friends. It surely multiplied as it spread throughout the industry. And if we had not asked how we were doing, we never would have known. Our organizations need to have the ability to recruit employees whose skills and abilities are aligned with the job. We are to provide orientation and training to ensure productivity. We are to manage turnover through ongoing coaching and counseling. You can’t do any of this without people skills. I always smile when I hear people in the HR profession say they are in our business because they LOVE people. That being the case, how can you mistreat something that you LOVE? To ensure high levels of customer satisfaction, it is important for HR to continually measure and monitor the needs of its various customers, determine how well it is meeting those needs and identify any areas that represent gaps. This needs analysis requires balancing various perspectives and determining which take priority. For instance, managers may value high levels of production and long work hours whereas employees may value more time off and a focus on work/life needs. Effective HR customer service will work with both groups to find the right balance. We are all aware of the stress involved in HR. Internal customer needs are often in conflict, external needs are changing, and the role involves a wide range of responsibilities. Effective HR leaders understand the importance of focusing on the needs of HR staff members — who are customers themselves –to ensure their ability to serve the broader organization. Every interaction is an opportunity to show what we in HR are about. Never let any opportunity pass where you can add value to what we have chosen to do. In order for our profession to change, in a lot of cases, WE may all have to change.